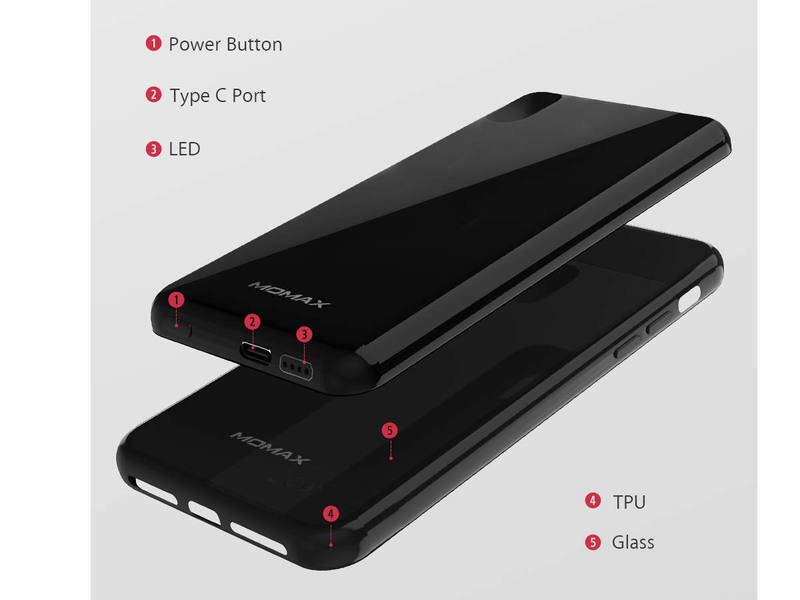 The battery will stick to the magnetic phone case when they are close. No wires and hassles.! The Momax magnetic case and wireless battery pack are in fashion match design, sleek and stylish. The wireless charging case enables you to enjoy uninterrupted use of phone while charging on the go. 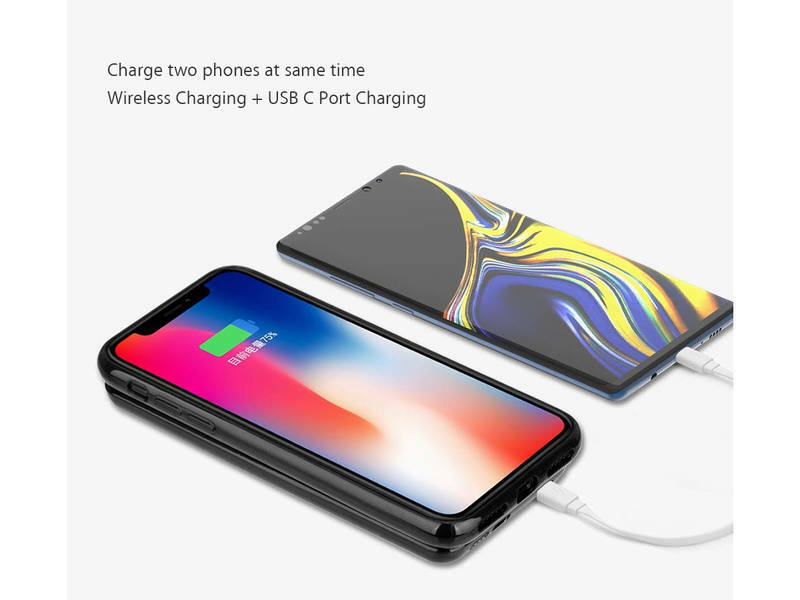 USB Type-C Support: Support iPhone XS/X wireless charging and another device by type c port charging. 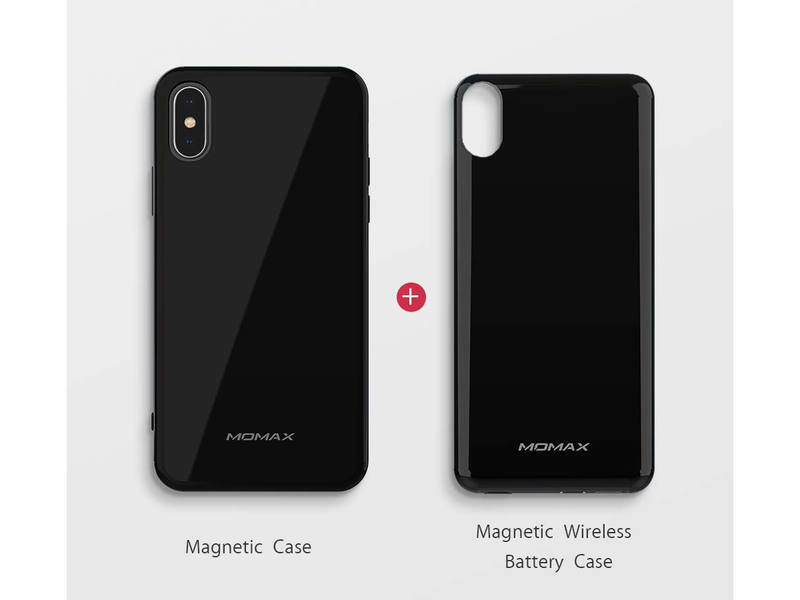 And the wireless charging works with any Qi-enabled devices, iPhone 8, iPhone 8 Plus, Galaxy Note 5, S6, S6 Edge, S7, S7 Edge, S8, S8 plus, but the magnetic case is exclusively for Apple iPhone XS/X. 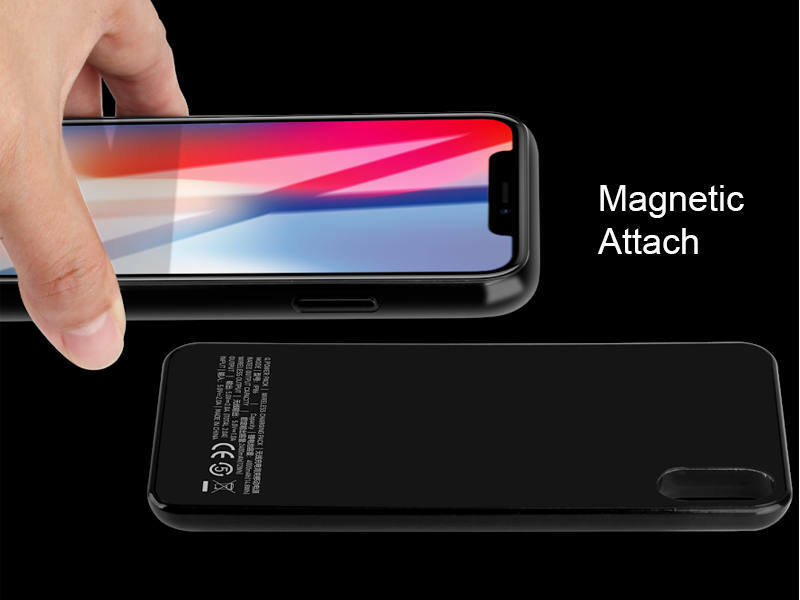 Easy to use: Put the phone into the magnetic case. 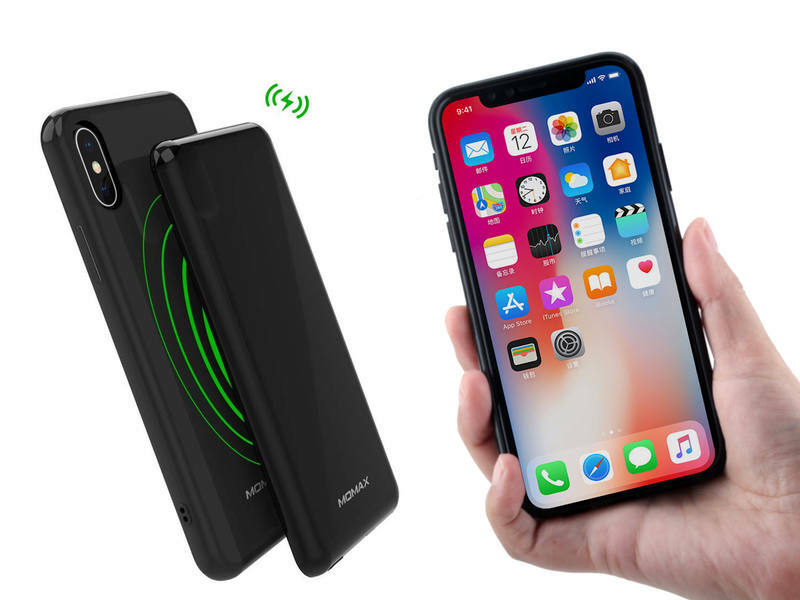 Attach the slim wireless charging battery pack to the phone case as needed. One click to start charging and double-click to stop charging. ATTENTION: It will stop charging if the iPhone XS/X was too hot, this is a way of protection, not defective. -Qi-enabled, supports universal wireless charging. -Power LED Indicator - Will indicate the level of power your battery case is currently charged. -UL Certified Battery: highest certification for batteries to ensure the safety of our customers. The battery case is not waterproof, Please keep away from water.